Week 9 is one of the toughest weeks of the season for fantasy owners, with six teams on byes (Arizona, Cincinnati, Indianapolis, Jacksonville, New York Giants, Philadelphia) as opposed to the usual two or four on most weeks. As such, there will be a lot of spaces that need to be filled on rosters, and even more borderline players you may be forced to drop — or pick up — due to the multitude of teams with weeks off. Things are getting a bit messy in Tampa, as Jameis Winston is being benched for Fitzmagic — who many remember had one of the best starts to a season in NFL history in September. While a return to that form is unlikely, he still has dynamic weapons Mike Evans, DeSean Jackson, Chris Godwin and O.J. Howard to play with. If your QB is on a bye he's good pick up even against the Panthers stout defense this week. The Birds are on a bye so this may not be a play available to everyone, but adding rookie runner Adams, fresh off his best performance of the season after the Eagles did not add a running back before the trade deadline could be a low risk, high reward move. 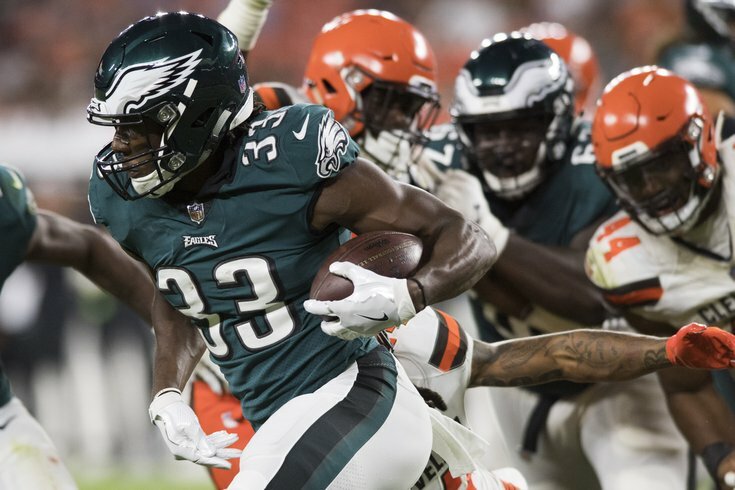 Adams leads all Eagles runners with 5.4 yards per carry and led them in rushing attempts last week. One caution, Darren Sproles will eventually return, which could hurt Adams' value. If you haven't heard about Sutton's expected emergence, it may be too late. But as of Wednesday morning the new top wideout in Denver (after the trade of Demaryius Thomas) was owned in just 34 percent of CBS leagues. Courtland was a high draft pick, has size, speed and hands and is one of the biggest reasons the Broncos moved their veteran wideout to Houston. Like our suggestion with Adams, Doyle is on a bye but is a low risk, high reward sign and stash for next week. Returning from injury last week (with six catches for 70 yards and a score), Doyle figures to play a big role in Indy's pass happy offense as they seek a playoff berth. He is currently available in more than 60 percent of leagues due to the week off. The Dallas defense is actually the third best in total yards allowed in the NFL, and going up against a Titans team with the third fewest yards per game, it could translate into a smart last minute streamer pick up.